Does Mr Modi have a premonition about losing the Karnataka election? If not, why he is keeping his distance? 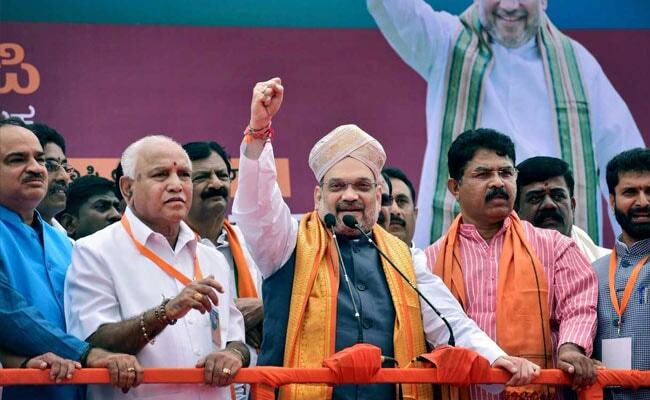 He has a series of rallies coming up there now and it could be argued that he was saving his energy for the final stretch, that he has full faith in his right-hand man and BJP president Amit Shah, that he believes that the return of BS Yeddyurappa to the BJP will be enough for the party to win. It could also be argued that his schedule is too tight to accommodate the election campaign. He has just been to England and met PM May and at the time of writing, he is in China to improve relations there. These are good arguments but I don't buy them. Modi is not one who trusts others to make the difference between winning and losing. He is a one-man army and is more comfortable at rallies and road shows than in his South Block office. Therefore, if he is missing from the scene, then there should be some reason. 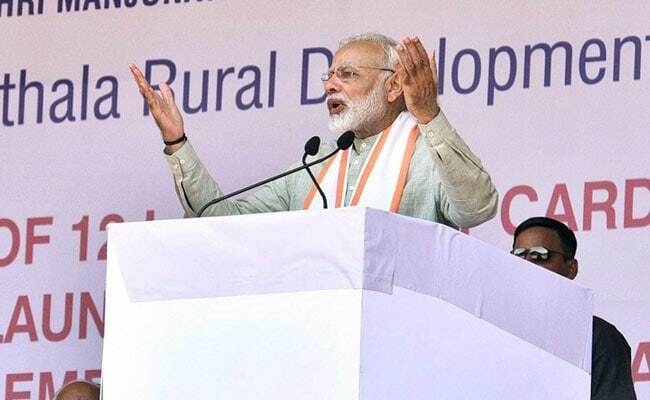 Modi is planning only 15 rallies in the state, starting May 1. Karnataka is a crucial election for him for two reasons. First, he has to prove wrong the growing talk that he is no longer as popular as he used to be. He had a tough time winning Gujarat, which was considered his private borough. The BJP's Tripura victory was certainly one of the great upsets of Indian politics but the defeat of the BJP in Gorakhpur and Phulpur as also in by-elections in Rajasthan and Madhya Pradesh were big embarrassments. So a Karnataka win could psychologically restore people's confidence in his leadership. Second, Rahul Gandhi has undoubtedly improved his image since the Gujarat election. 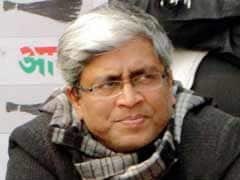 He looks more confident and his attacks on Modi have been sharp. His social and mainstream media management look energised. As Congress president, Rahul has been asserting his authority. He is trying to balance young leaders with seasoned ones. In Karnataka, if the Congress is able to defend its government, voters will believe that the party is capable of winning. Modi has not been seen in Karnataka since February 27 when Yeddyurappa was endorsed on his birthday as the BJP's chief ministerial candidate. Let me remind you that for the Gujarat election, Modi was there almost every other week. As soon as he realised that the BJP was weaker there than anticipated, he almost camped there and took total control. He knew that the Patidars and business class were unhappy with the BJP while Dalits were upset after the thrashing of young men in Una. To appease the business community and Patidars, he held an 11-km long roadshow in Surat in April. It was speculated that around 50,000 young men and women participated in the convoy on their bikes. A saree was seen stretched through out the road depicting Modi Government's achievements. Modi won 15 seats out of 16 in Surat area. Similarly, another mega-show was organised in Rajkot in June. This was huge. Modi arrived on June 29, and led a 12-km long road show. The whole city was lit with coloured lights. Hoardings and cut outs flooded the whole town. Light and sound shows were organised. The whole city was shown in a festive mood. Such events do make an impact and affect voting behaviour. In Rajkot, the BJP won 5 of 8 seats. During September - October 2017, Modi had five trips to Gujarat. And every trip was organised on a bigger scale, with a lot of pomp and show. While the Election Commission dithered over announcing the voting dates and was accused of serving the BJP as a result, allowing the state government to announce projects and SOPs of approximately Rs 11,000. Let's do a cross check with history also. Modi, this time in 2013, was yet to be announced as the prime ministerial candidate. In its then government in Karnataka, the BJP had experimented with three Chief Ministers in five years. And finally, Yeddyurappa rebelled and formed his own party. The BJP's defeat in the state was obvious. Modi knew this. He was reluctant to campaign there. He addressed only three rallies. Now he is doing the same. As a smart politician, he would not like to avail the blame for the humiliation. So he is letting Amit Shah fight the battle. Just like in Bihar, in 2015, when he avoided the last stretch of campaigning.